Children and adults with profound and multiple learning disabilities (PMLD) are among the most marginalised people in society. They have some of the highest support needs and are most reliant on services. This accessible and practical text presents and promotes current best practice regarding interventions to meet the complex health needs of a person with profound and multiple learning disabilities. 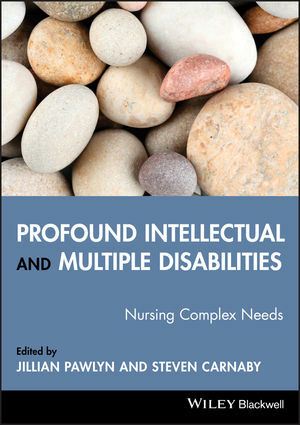 Divided into two sections, Profound Intellectual and Multiple Disabilities first looks at assessing complex needs, exploring topics such as communication, maintaining health, and quality of life. Part two then discusses meeting complex needs, looking at topics such as mental health problems, epilepsy, vision impairment, aural health, respiratory health, nutrition, and dysphagia. JILLIAN PAWLYN is Lecturer/Practitioner at Ridgeway Partnership NHS Trust and Oxford Brookes University, Oxford. STEVEN CARNABY is Consultant Lead Clinical Psychologist at Westminster Learning Disability Partnership, London.